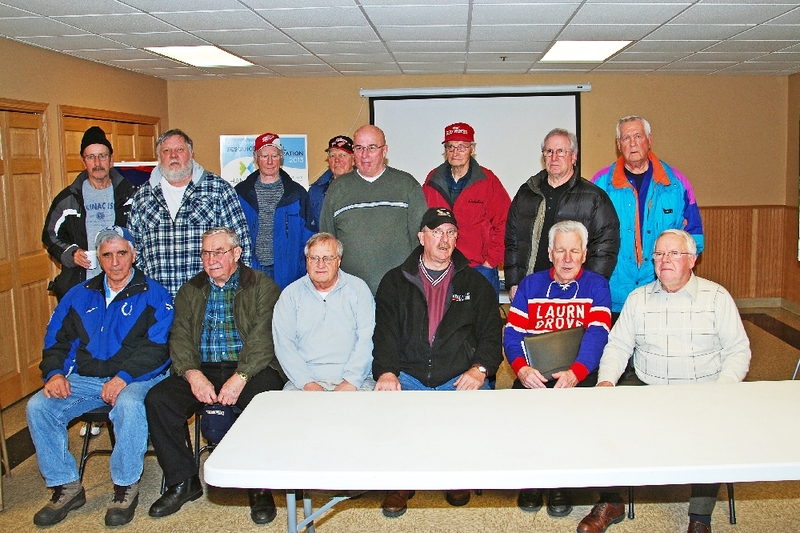 The first official Sesquicentennial Event was held Saturday, Jan. 12th, at the Dave Wiitanen Room at the Houghton County Arena, a Panel Discussion entitled “Outdoor Hockey in Hancock, an oral history”, about the history of outdoor rinks and the hockey teams and players who grew up and developed on them. The panel discussion was opened by Sesquicentennial Committee Chairman John Haeussler, who gave some background and made introductions. 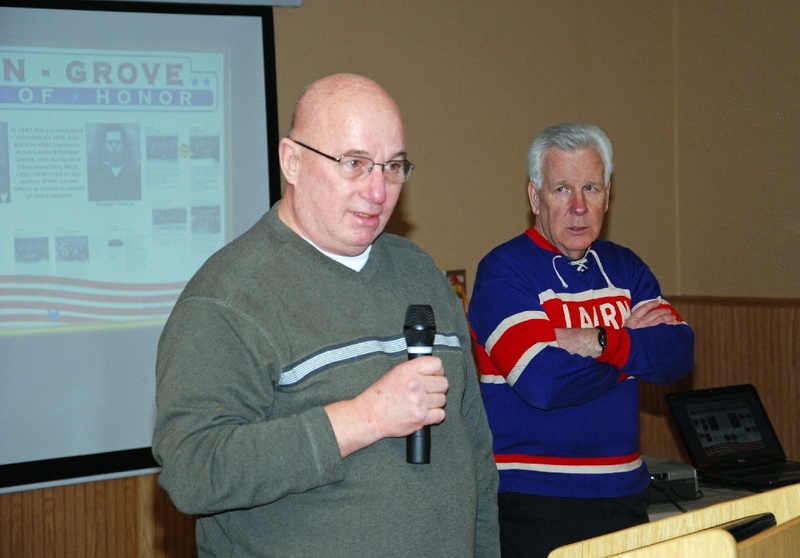 The panel discussion was moderated by Dave Hermanson, a player on the Championship Teams of the Laurn-Grove Ice Rink in the mid 1900s. He is wearing one of the jerseys worn in that era. 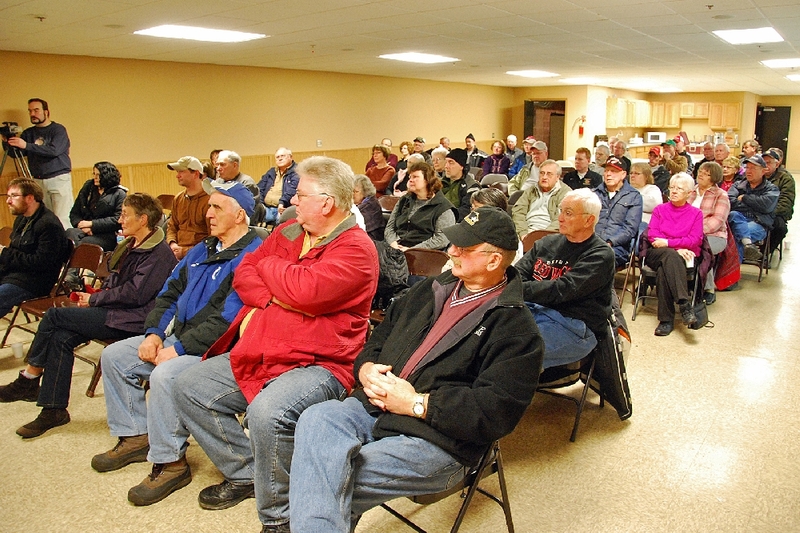 A highly interested crowd, many of whom were former outdoor rink players from Hancock. 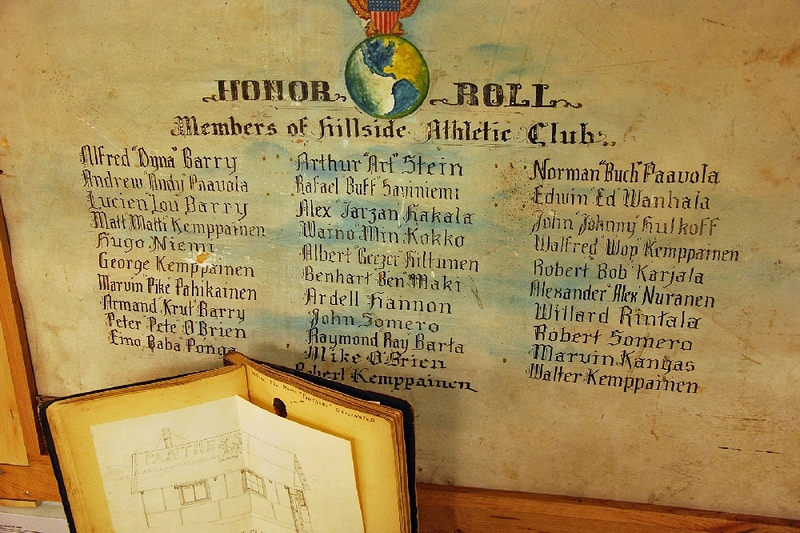 An Honor Roll Display of the early members of the Hillside Ice Rink hockey players, who helped create the rink and the early teams, was put together especially for this event, and will be made a permanent display. Some later players went on to Olympic Hockey and Gold Medal fame. The Hillside rink started in 1930, burned down in 1932, and was rebuilt in 1933. 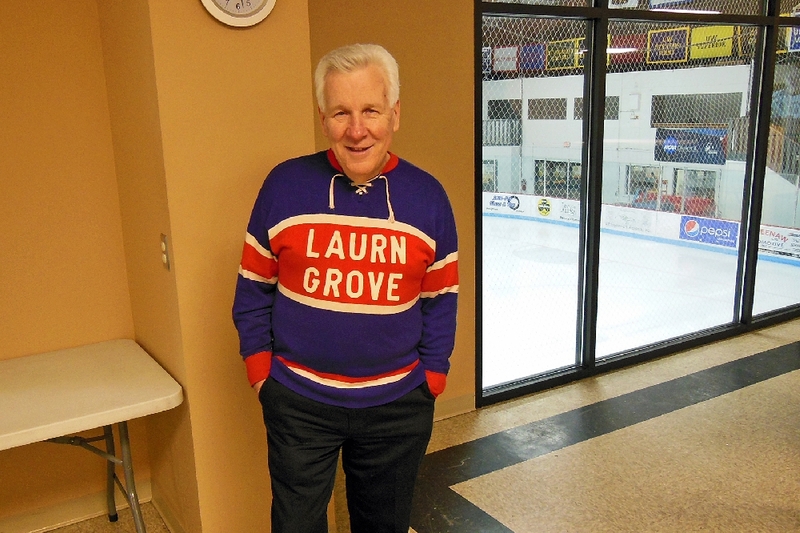 Bill Heinonen, who played primarily on the Laurn-Grove Rink,brought his jersey worn in the 1950s. 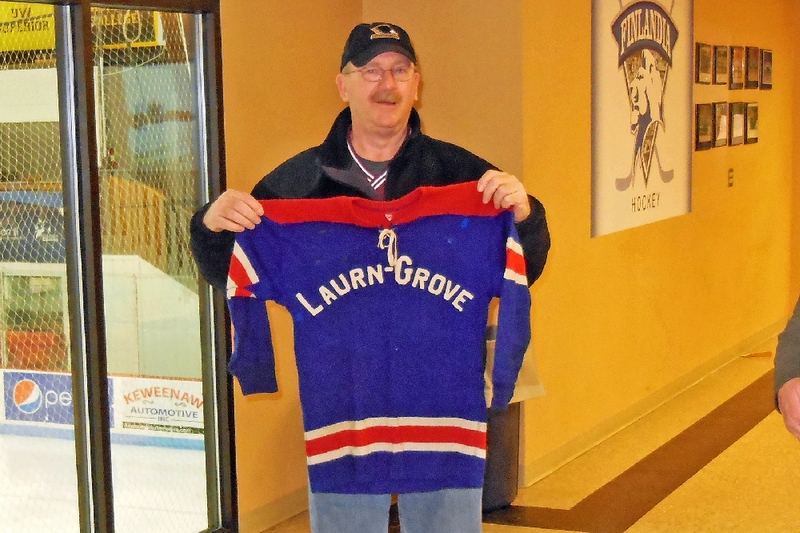 And Dave Hermanson, with a better look at his original jersey from the Laurn-Grove days. 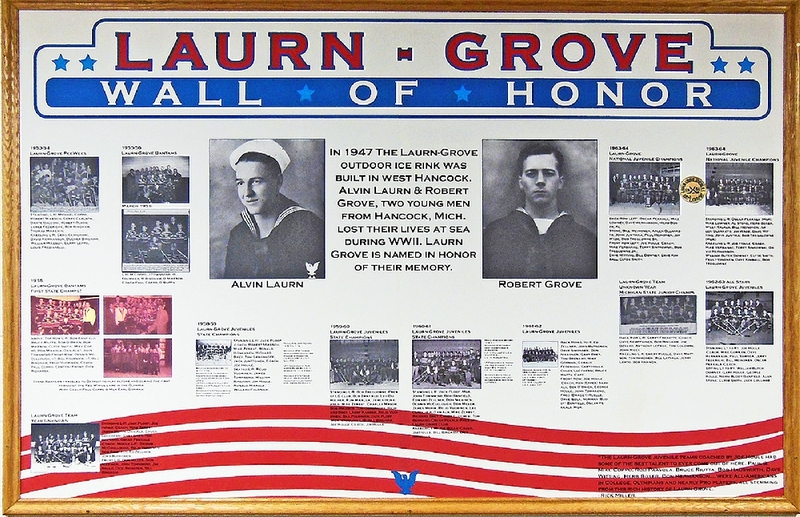 This Historical Display depicting the players of the Laurn-Grove Rink early days, is on permanent display in the Lobby of the Houghton county Arena in Hancock, MI. 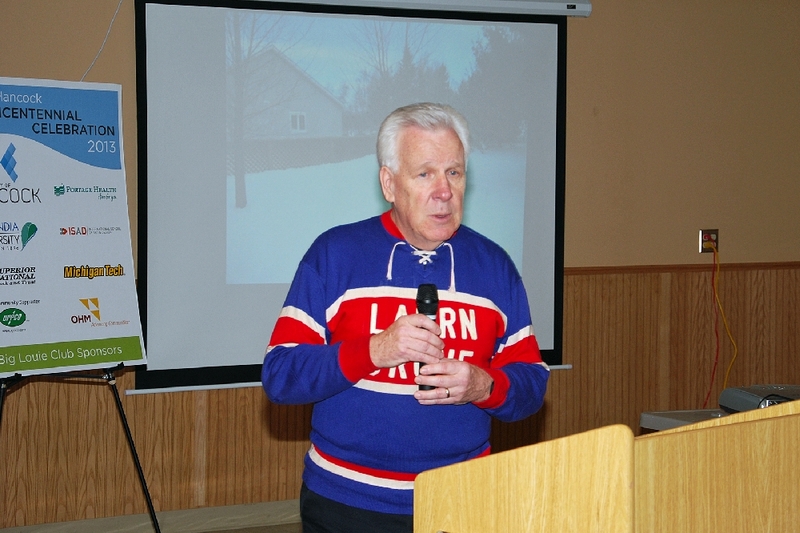 Gorden Schaaf, of Hancock, who also played on local rinks, give his recollections of early local hockey on outside rinks, and of growing up in the depression era days. 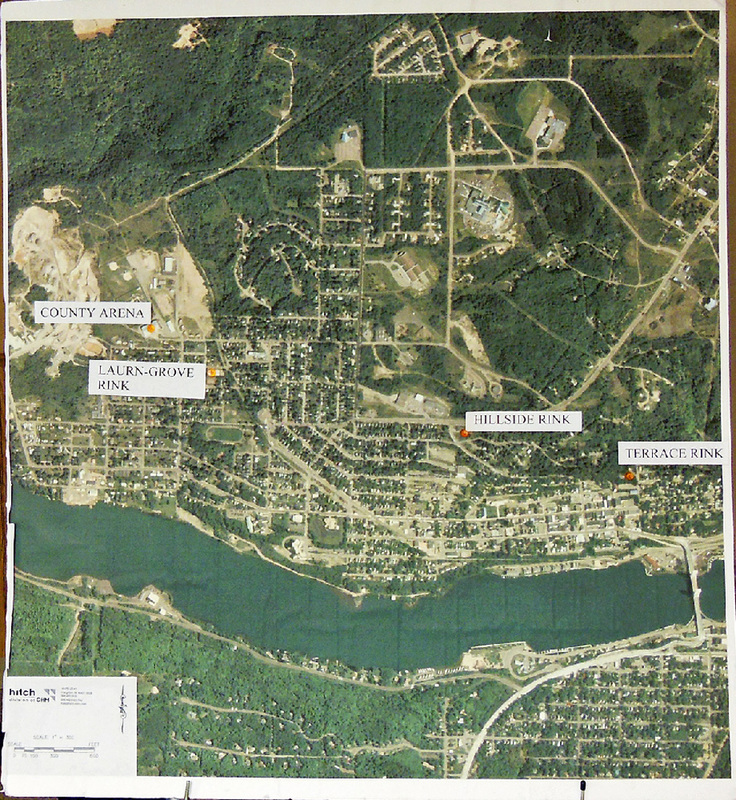 This map, prepared just for this panel discussion, graphically shows where the various local rinks were located in Hancock. Missing are five rinks brought up in the panel discussion: the Hancock rink, at the corner of Scott and Franklin Streets; the Central Rink, in downtown Hancock where the Superior National Bank now stands (only open for two years); and the Lake Street rink, on the waterfront. Also, the Emma Street Rink, and he Pine Street Rink. 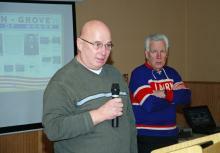 George Houle, one of a number of Houles who played/coached on Laurn-Grove outdoor rink hockey teams. 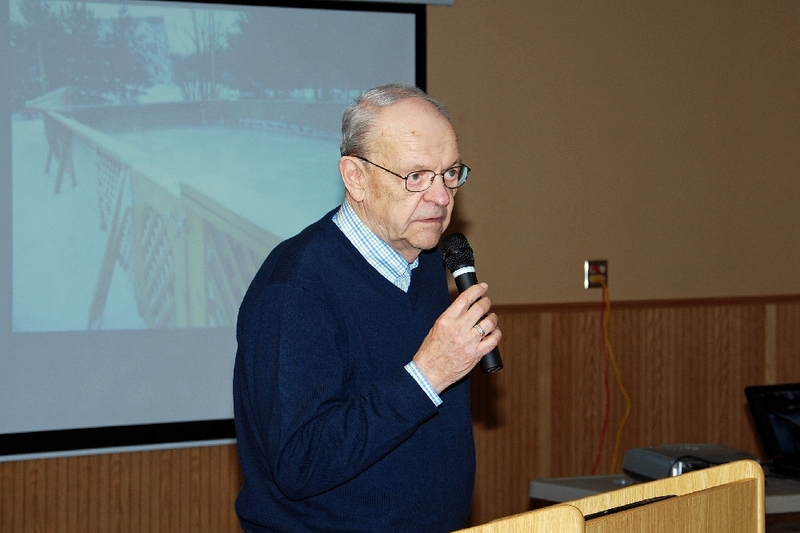 Dave Wiitanen, who not only played but has provided the major impetuous and drive to make the Houghton County Arena possible (and continues on their Operating Board today). The Arena makes possible playing ice for a number of youth hockey teams, including High School Hockey and the Finlandia University Lions Team. 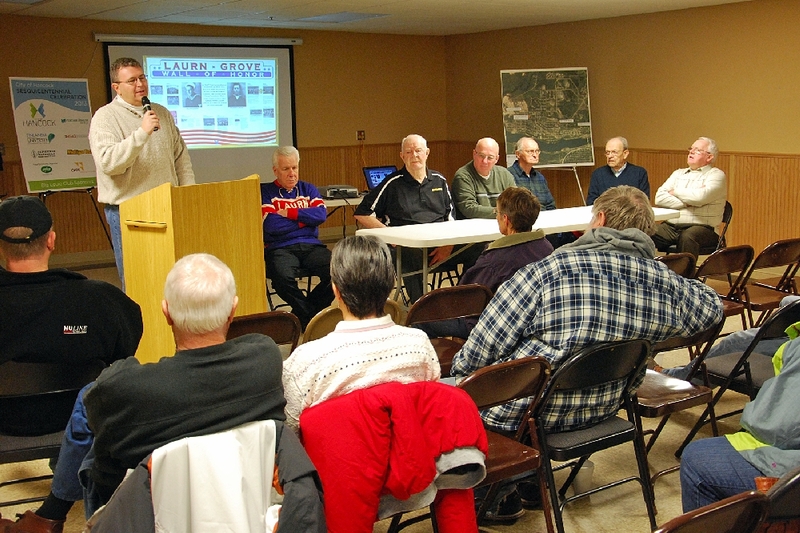 A formal group photo of former Laurn-Grove Rink players, who were able to make it for this historical panel discussion. Our thanks to all who participated and provided information and material for this Historical Panel Discussion. 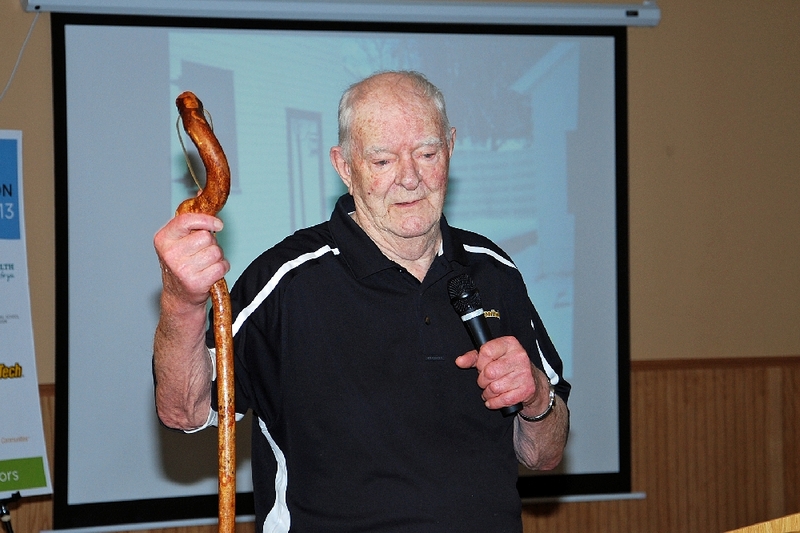 The next Sesquicentennial Event in the year long 2013 series will be Wed.,Feb. 27 at 6 pm, at the Finlandia Univ. Finnish/American Center, on the history of Soumi College/Finlandia University. 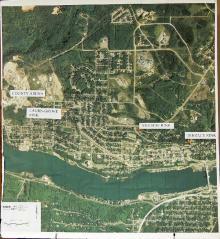 Check this Web site for other Sesquicentennial events.